These need to be booked in advance – party sizes are limited so that everyone gets a good chance to see and hear and ask questions. Refreshements are available at the site. 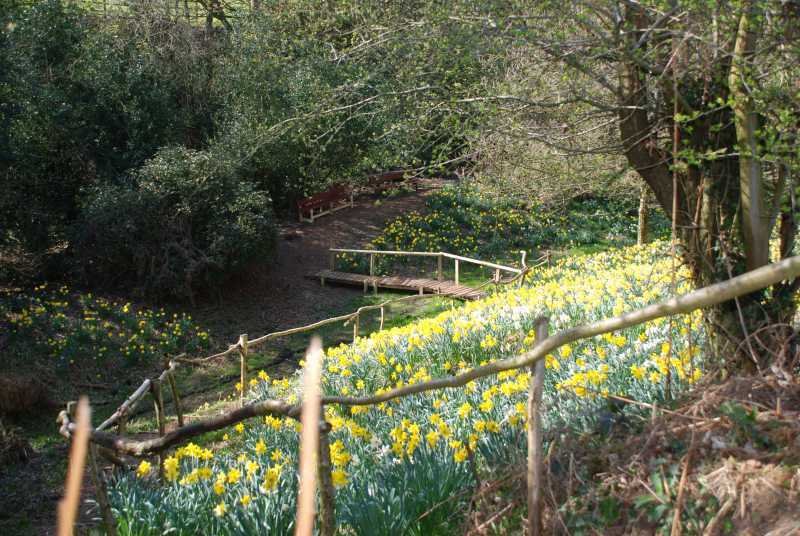 The Daffodil Farm will be open daily at 10am and close at 4pm from Wednesday 27th March until Sunday 7th April 2019, for anyone who wishes to take a stroll around at their leisure with the aid of of a Guide map and marker points of interest and a Fairy Trail for Children, Ideal for those who have already attended a guided talk or who just want to wander around the beautiful Daffodils, enjoying views across Cheshire, and the fresh spring air, all at their own pace. Cost – Adults – £2.00 ,Children – £1.00 with all proceeds to Macmillan, with refreshments and daffodils available to purchase (subject to availability) .